She Is Awesome (SiA), celebrating the women of substance. Nam Veedu, Nam Oor, Nam Kadhai is a platform for different individuals to come together for common social cause and a platform for people to go forward in being the voice for the voiceless, and she is also the present secretary of the Madras Literary Society. Join in and find out the inspiring journey that she has had. 1. Where do you get your motivation from in terms of being an architect with a purpose? Generally, there is a notion that construction as field has a lot of men around. It is perceived that when a woman architect enters the field, they will do the base work and not the actual site work. But if you visit a site, you can see women, even pregnant women carrying raw materials like bricks, cement, et al. We always wondered why the construction industry was called a men oriented field, when most of the labour intensive work is done by women. Then from where does the problem arise? Why women couldn’t persuade what they wanted and where did this restriction come from, was our inspiration - this further motivated me to go ahead in my profession. Also there is a lot to learn from what we have around – when you know your roots, you don’t have to be tied. 2. 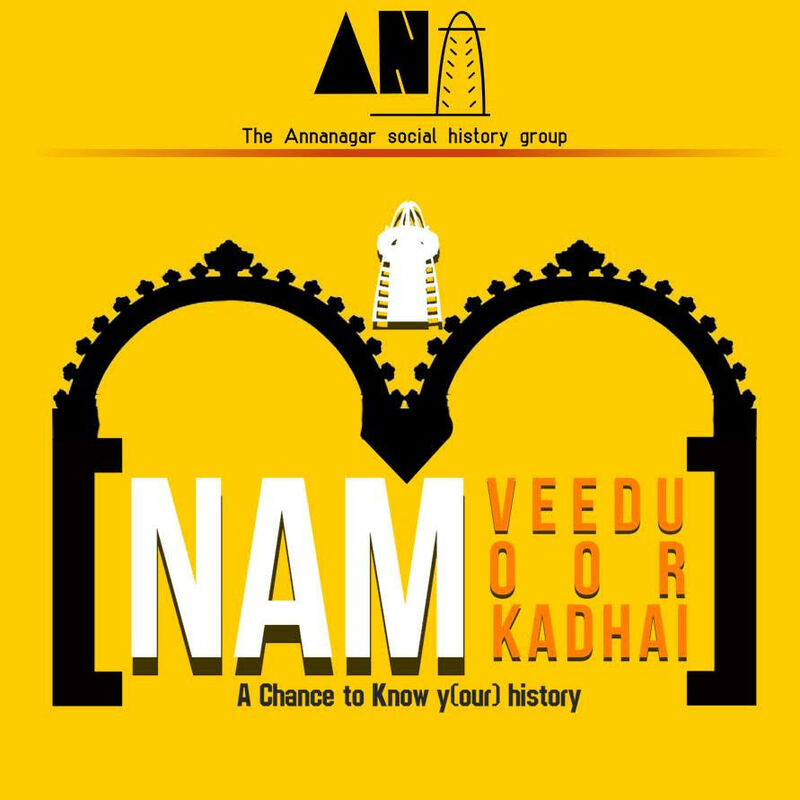 What motivated you to start your group ‘Nam Veedu, Nam Oor, Nam Kadhai’ ? Like I said, there are a lot things happening around in terms of environment, heritage, social issues and there was a need for a platform to converse - there needs to be a dialogue and a place to build and nurture that dialogue and do the groundwork to sort it out. That is why we call it Nam Veedu, Nam Oor, Nam Kadhai (Our Home, Our City, Our Story). We conducted a lot of meetings and gatherings where we encourage people to use their voice; we tell them - our voice may be low, but there are many without a voice because they are not encouraged to use their voice or made to believe that they don’t have a voice. So, the concept was to be the voice for the voiceless. The voiceless may be a material that is diminishing or a person in need. That is why the name. We believe that if you curate it like a story and solve an issue, it will reach a lot of people. Basically, it is a platform to initiate conversation, make a consensus and sort the issue. We take a cause and support it through storytelling, written content, talks, discussion and culminating in ground work – and we continue to work for the cause. Few of them are inclusive design for toilets, how to make a campus inclusive, special education and play therapy, child sexual abuse, sexual harassment, female genital mutilation, gender bias, safe places, heritage with social inclusion to name a few. 3. So, did you start this movement with your friends? My friends were very encouraging and supportive. It started out with me, my grandmother, my sister who was in school and my grandmother’s nurse. All the paperwork like reading and translating were done by my grandmother and the architect’s perspective was from my side - the nurse was only 19 years of age, back when we started. Nam Veedu, Nam Oor, Nam Kadhai and my architect career began simultaneously. The projects that I take up gives me the financial freedom and opening, while the voice that I was talking about, for me to stand on my ground comes from my movement. We started and a lot of architecture students joined, soon after my friends also joined - thanks to the support of all these people we were able to give the movement a proper beginning. We started with documentation and working on ground with people and more than that the goal was to stay rooted. 4. We’d read in one of The Hindu’s articles on you that your great grandfather actively contributed to Tamil literacy back in the day. Could you tell us a bit about that? Oh yes, it was my great grandfather and he was living in this very house. He came to Chennai and was called the Atchi Mozhi Kavalar and he was in the committee. Bus was a new invention then and they came up with the word ‘Perundhu’. His other contributions included ‘Alunar’ (Governor) and ‘Nadathunar’ (Conductor), since a conductor walks around the bus collecting money for the tickets, he was named so. The reason I mentioned him was because in my family, none of them were forced to take up a particular job, but were made sure to understand that we have be financially stable and be on our own and I had the same freedom and responsibility. But it wasn’t easy, as I had to convince my parents that this is what I wanted to do and pick a profession. But I also had the space to convince my parents by explaining what I wanted to do. That is why I mentioned my great grandfather who was a Tamil scholar, my grandfather was a doctorate in mining from Germany, and my father who loves motor vehicles and technology was into the dealership business like petrol bunks and tractors. That is the freedom that I am talking about, not to thrust but allow them to explain and choose wisely. And my grandfather is the reason we do translating work - we wanted to bridge the gap between languages. We translate important books, articles and data to reach the masses and since I knew a bit of French, we even translated a few stories to French - we curate it into an inclusive storytelling session. 5. You’ve worked on a lot of restoration projects. Now when a project for restoration comes, how do you go about preserving a monument/site while also making sure that it does not lose it’s original charm/heritage? I don’t actually work on building restoration. We do restoration of household objects and other heritage antiques, we also do heritage consultation. The reason we took up objects is because there was a need in the area. I felt that the people, the objects and the furniture in a house also has a lot to speak. Everything has a story behind it and we want to preserve them. I cannot go tell anyone to restore a building just because it is some 200 years old because there also has to be an economical, environmental and social sustainability and we concentrate on those aspects. We have preserved objects which are 100 years old, books and many more. Three years ago, I took up courses one after the other for preserving leather, preserving fabric and took internships to completely understand and do it properly. We worked with Dr. Jeyaraj, our mentor. We use his lab located in Ashok Nagar, to work on the conservation projects. Restoration is important but for people to want to restore them is all the more important. We started collecting artisans and with Mr. Aiyanar as our head artisan we carry out the process. For example, if you take up this red oxide (a type of flooring she has used in her house known for its distinctive red color), will maintain the temperature a lot cooler and will give a soothing effect to your feet. Red oxide flooring, lime plaster are some techniques we don’t use much now and we are trying to get more use out of it. Earlier people used to be apprehensive about the red colored flooring but now there are around 150 colors possible with the oxide flooring like baby pink - if someone wants a kids’ room designed, we can do a white, black and many more. To tell people why red oxide flooring is a viable option, how it could be used and how it is adaptable to the climate is what we are trying to do. 6. If someone were to approach you to renovate a modern house using elements like red oxide flooring or Athangudi tiles (also known as Chettinad tiles) or terracotta roofing, how would you go about it? If it is a modern house and they approach me to modify them, I would almost always ask them what they want to change, because they would have already put in a lot of effort and money to get the previous furnishing done - but I also give them a suggestion. The best way is to approach it in the initial stages. For example, if someone wants to use granite for a staircase, I don’t go around telling them not to use granite. But I tell them that there is a rough side to granite which can be used instead of the smoother side - this will provide grip and will help in lowering knee pain faced by many. And there are two ways to approach this, one is whether they are looking for the aesthetics and two, if they want it for a purpose and also have the logistics planned. If it is an elder friendly house, I would suggest that they get the marbles replaced with alternate flooring that is soothing to their legs and also gives grip. 7. There are many people who are looking for a balance between modern and traditional elements. How can that be approached? The balance can only be obtained when people start consuming the building process even before there are four walls. Aesthetics and structural elements are not two different things. Some people approach us after laying out the walls, but I insist that people don’t do that. Instead of buying a painting and figuring out a place, figure out where you need a painting in the house while designing it and where a window should be facing even before construction. Don’t separate them. I believe that that is the way to go and people come to me for that. I am ultimately designing a home, so I ask them what they want, understand and give them what they need. The need and want should be balanced. 8. Every architect follows a set design process. How does your design process flow? The design process is very important since it plays a major role. I tell them not to separate aesthetics from the functionality. Visualizing where the columns will be located and what purpose they will solve happens even before they are built. We had little children as our clients and in order to help them understand the process, we draw out the plan in the area and take them walking around to feel the house. This exercise was appreciated by elders as well. A lot of people thought we were crazy but it is something we like doing. So telling or showing them how they expect it will also depend on the clients. I guess my story telling helps there as well! 9. Does architecture in general come equipped towards minimal damage during natural disasters/calamities? Earlier, I think that is how buildings were designed. If you take vernacular architecture or traditional architecture, they always take what was around into account. Once globalization and mass production happened things went in a haphazard manner in a lot of fields. Even though an architect can provide numerous design options in the present day, the material used for construction has to be from the land there. Using red oxide flooring in Rajasthan doesn’t make sense, we will have to use something that has its origin in Rajasthan. Right from the material used for construction to the architecture, it should be place specific - architecture has always been conceived like that. Everyone wants a quick process and the traditional method will take time so all of that matters, but every place has its own individuality and following that is the crux. 10. How does the time factor vary? The time depends on the technique used. We helped in building a school for an NGO near Udaipur recently. We took mud from the site and made bricks out of it for construction. The volunteers around the area helped - this is different from transporting materials. Again back to your question, Johanna (23, an Architect), who worked with us for the project stayed there for more than 3 months with all the difficulties of climate, food, language and Ragavi coordinated it from here - I think that’s what we are looking at. In traditional techniques, the cost reduces with the increase in area. We also conduct hands on workshops to sensitize people too. 11. How involved is the Archaeological Survey of India (ASI) in preserving India’s cultural heritage? Should it be more involved? ASI plays a major role because that is how we have a listing. They are trying to do as much as possible. But there is a lot more to be done and so if everyone of us takes ownership and social responsibility, the way forward is clear. 12. Is that where movements like yours come into picture? Mine is a very small movement but there are a lot of individuals who do a lot. Taking ownership is what matters. Taking ownership of the place has an effect. Telling people not to throw waste and doing it yourself by taking ownership is way more powerful than the former. 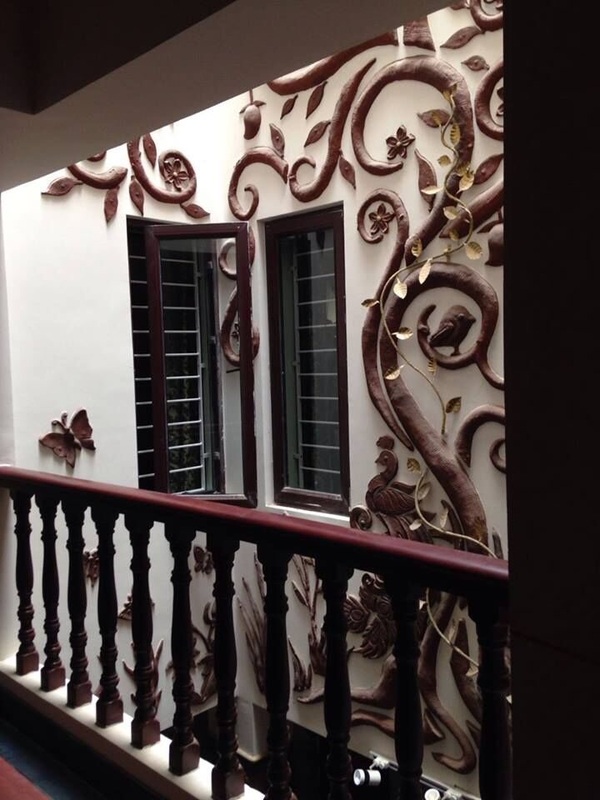 My inspiration was from Kalpana Ahmed, a conservation architect. Her drawings have a depth and a certain detailing which tells stories of its own. One thing I learnt from her is to keep going and keep doing what you like for heritage. 13. Which is the toughest step in the restoration process? The restoration is not the toughest part but the responsibility of giving it back safely to them is the toughest. When we handle their possession, the clients will be very attached to it and till we get it back to them safely our heart will be thumping with that responsibility! And we will have to make sure we get it back to them within the promised time. We cannot go give excuses like, we left a mark or something of that sort. When we give it back, their reaction will be priceless - sometimes they leave us speechless by telling us, that we can even keep the object! We have numerous coins, artefacts, photos and many tiny objects with us. 14. There were already heritage walks happening in Chennai. 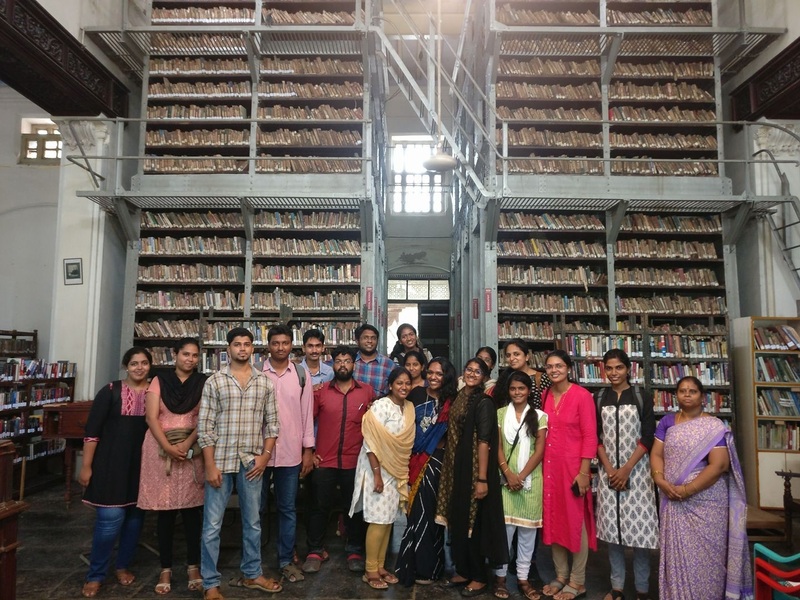 Most of these heritage walks in Chennai were centered around Mylapore and this was at a time when residents were unaware of the heritage around their city. Why and when did you start doing heritage walks of your own? There were and there are a lot of inspiring trails happening around. I have done a Mylapore walk once in 2014, for the Mylapore Festival – Architecture of Mylapore. But otherwise my walks were curated in places where walks are generally not done. Inclusive and Speechless Walk - done for specially abled children, Community Dwellings of Triplicane, Lanes of Aminjikarai, Unknown Issues of Madras, Know Madras More, What’s Madras in the Night (2014), Windows of Madras, Doors of Madras (2014), Hear Stories, Have Chai and Understand Madras - these are the titles of the walks that I’ve organized. All our walks will culminate into an interaction with the residents. We collaborate with Explore Differently for making our walks inclusive and we thank them for the same. 15. You were also actively involved in the volunteering work for the Chennai Floods in 2015. This year too, the rains were severe and there was water clogging everywhere. To add to that, there were flood warnings, why do you think we are facing the same situation again ? This time it was more of panic, having said that there are few places that were affected this time too. We always talk about public amenities, but we should start making space in our homes as well. We don’t give enough space around and does everyone follow the rules while constructing their houses? And it’s not necessary to have tiles in the parking lot, we can use perforated flooring, there won’t be any water stagnation. This water logging occurs because the water doesn’t have anywhere to flow into – or to put it in proper words, where are the paths in which the water should have flown into? What happened to the water bodies? These are some questions that we have to find answers to as residents of this city. 16. What can we do to curb this kind of flooding? We can start off with clearing our wastes and clogged areas. There is a natural flow to the city and we need to keep it clear to avoid clogging. But, we need to start the process way earlier. We cannot start them during the monsoons, but sometime earlier in the year like around January or February. We need to start acting on all these rather than talking about it. Ownership of the individual area and finding out how to avoid water clogs in their respective areas will be of huge help. We have to face it and find a way to solve it rather than complain about it. 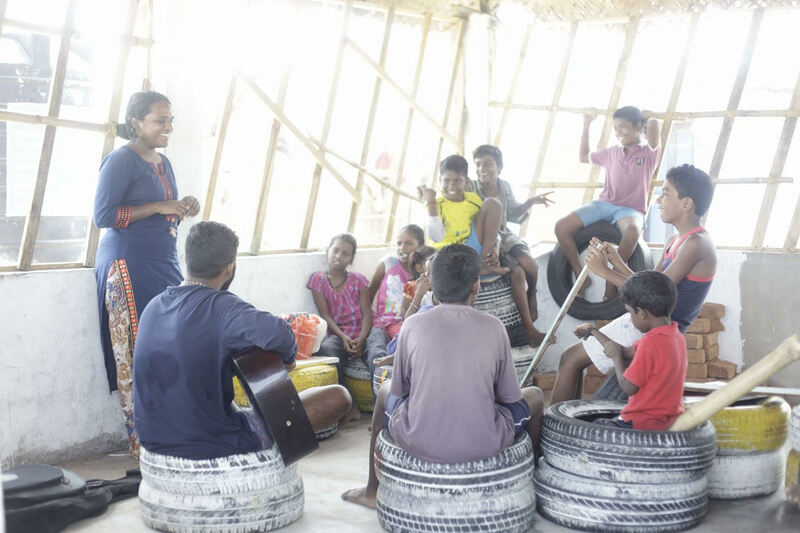 That is why we began with children by telling them stories to create awareness amongst the younger generation. If they take it up, then they will be the torch bearers. 17. There are many notable monuments in Chennai. Which monument or site, do you think, needs immediate attention? Every other heritage monument in Chennai needs individual attention. If you ask me about monuments, my answer would be to look at what is around - how the area was brought up, how Madras was before and how it is now. I hope that all the monuments in Chennai are given equal importance and attention. Chennai by itself has a lot of household and community heritage. When I was doing my thesis, it was based on Triplicane and on seeing me work daily with my charts and sketches, the people living around started inviting me into their houses. Even after a break of 8 years, they still welcome me with open arms. I think that hospitality is what makes Madras what it is. Talking about Madras and it’s heritage, we need to focus on social responsibility and community facilities as well. 18. We read in Hindu’s feature on you that you’re writing a book. How did the idea for your book come about? It’s actually two books. One is about Anna Nagar back in the day and how it evolved, we made a few copies and gave the 1st copy to Mr. Muthiah, the chronicler of Madras - Sir was very encouraging and gave us a lot of inputs. We are in search of a publisher to publish the book in numbers. The next is a book about our work. We haven’t named it yet because it talks about how I looked at Madras and this part of India, it’s more like ranter of my thoughts. I have worked on over 25 articles for the book talking about how I tried to do it and the journey. Few out of those 25 are loss of a person, how you deal with being a judged, travel etc. We inquired about the publishing date, and she replied with a smile that she didn’t know yet. We will be eagerly waiting for the book and we guess after reading through this so will you. With that said, she took us around her house to show the intricate work she has done inside the house. We could sense the excitement in her voice when she explained about the purpose of different elements she has used and her working space. Her working space is a co-working one where people are free to have coffee and grab a book. We loved her house as much as we loved the time we spent knowing her. This is for the women who stand on their own feet. This is for the women who aren’t afraid to follow their dreams. This is for the women who are making a difference, in their own small ways. This is for the she-roes. Most of all, this is for you - you are awesome. This is a part of SiA, an initiative by Skcript to celebrate the women of substance.